November is Diabetes Awareness Month and in recognition of this prevalent health issue, we invite you to our Learning Café to find out the best ways to prevent diabetes. 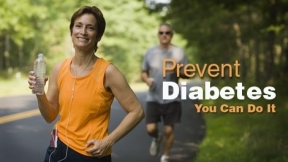 Certified Diabetes Educator from our Center for Diabetes & Nutrition Education, Joyce Keane will present and answer questions you may have on diabetes prevention. The Learning Café will take place on Tuesday, Nov. 25th at 11a.m., at the West Suburban Medical Center, 3 Erie Court, Oak Park, IL 60302 in the lower level classrooms. To register, call 866-938-7256. Light refreshments will be served.